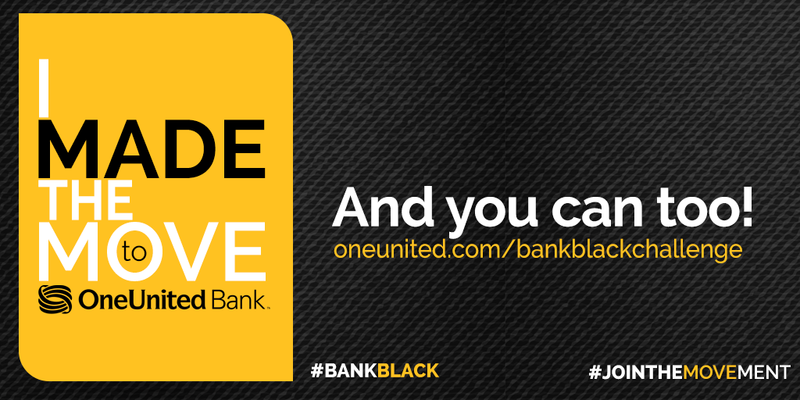 Help spread the word about the #BankBlack movement, and let the world know you moved your money to OneUnited Bank. 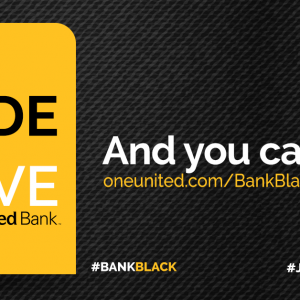 We’ve included sample text you can copy and paste on your social platform to issue the #BlackBank Challenge to your friends and an image you can use to let the world know you’re part of the #BankBlack movement. 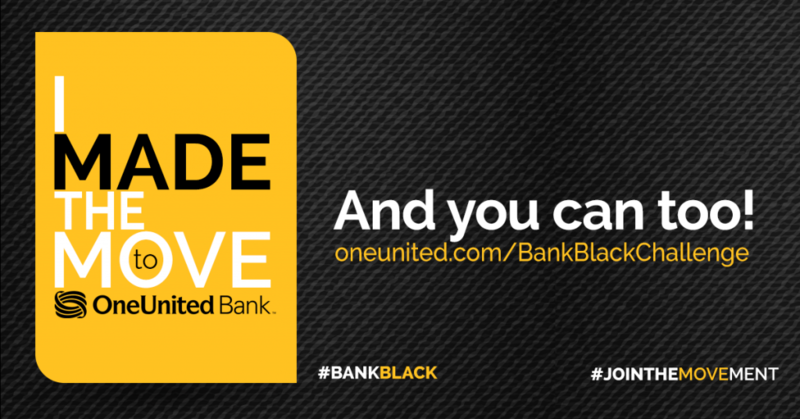 You can also show your support for #BlackLivesMatter. Spread the word today! Issue the challenge. Spread the word. Copy The Message Below That You Need. Copy the sample text below for the social platform you will be posting on. 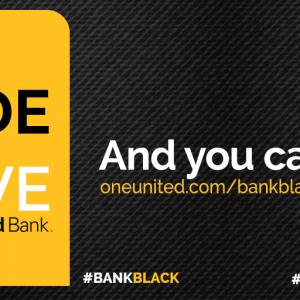 You may edit it in any way you like, just be sure to include the #BankBlack Challenge hashtag. Save the Image to Your Phone. Click on the image below the sample copy to save it to your computer or mobile device. In the window that opens from your computer right click on the image and choose “save as” to save the image to your machine. If using a mobile device, just tap and hold on the image to bring up the “save image” option and select it to save the image to your phone. Tell the World You Made the Move! 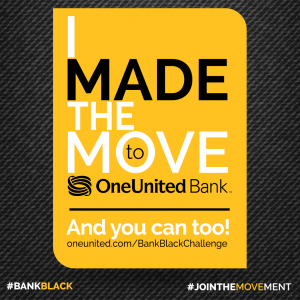 Log into your social media account, paste in the text you copied – and the image you saved if you’d like – and let the world know you made the move to OneUnited Bank!